The Boston Terrier was first bred in the 19th century to be a ferocious fighting dog, but what was really created was a loving, gentle and playful breed. The Boston Terrier has the most unique features compared to other terriers. The Boston has a strong and sturdy body, as well as a boxed-like head and stout ears. It’s hard to ignore the cuteness of a Boston Terrier and their personalities are very addictive; there is so much to love about this breed. Aside from their extreme gentleness, their loyalty to family is unique. With instincts that are sharp as a whistle and unbelievable energy, this breed is ideal for families with children. Boston Terriers have “loving eyes”, you know, the kind that look up to you and say “I love you!” One less appealing attribute about the Boston Terrier is their snoring while sleeping, due to their short noses and smaller nasal passage. The Terrier in general can be stubborn at times and the Boston is no exception! Be sure to develop a good routine and training regimen to establish respect right away. 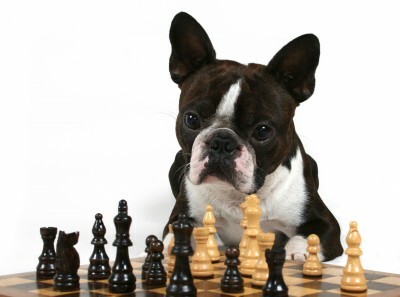 The Boston Terrier has a general height of 1 foot to 1 foot, 3 inches at the shoulder. Their weight ranges from 10 to 25 pounds and they have a lifespan of 13 to 15 years. Pauley’s Pups has lovable Boston Terriers that would make the perfect companion. Give us a call today to learn more about this breed or stop by for a visit.